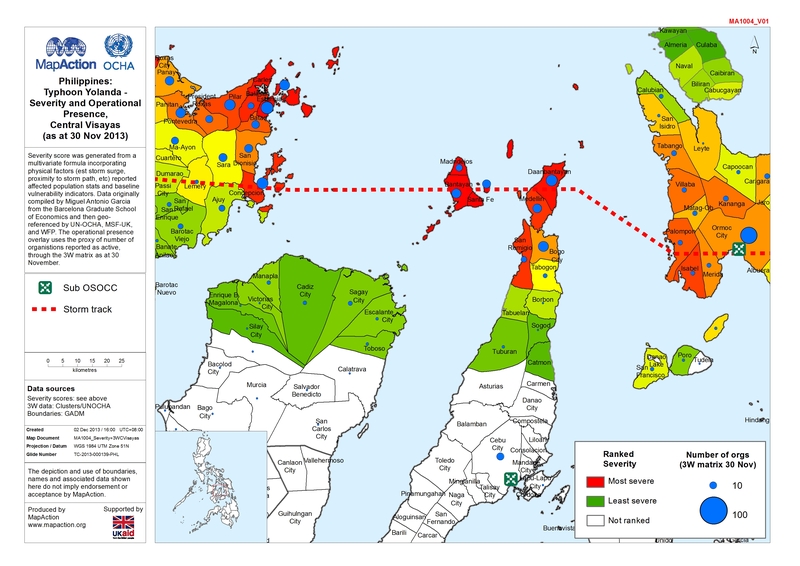 Severity score was generated from a multivariate formula incorporating physical factors (est storm surge, proximity to storm path, etc) reported affected population stats and baseline vulnerability indicators. Data originally compiled by Miguel Antonio Garcia from the Barcelona Graduate School of Economics and then geo-referenced by UN-OCHA, MSF-UK, and WFP. The operational presence overlay uses the proxy of number of organistions reported as active, through the 3W matrix as at 30 November.